I have read several books written by Gary Thomas and have been blessed by them all. I was filled with excitement when I was asked to review his new book A Lifelong Love!!! Marriage is important to God and, therefore, is equally important to me. I don’t take my vows lightly. Anytime I get a chance to read a good marriage book by an author I believe speaks the truth, I go for it! This book wasn’t written exclusively for the newlywed or the season married veterans, but rather it was written for any season of your married life. 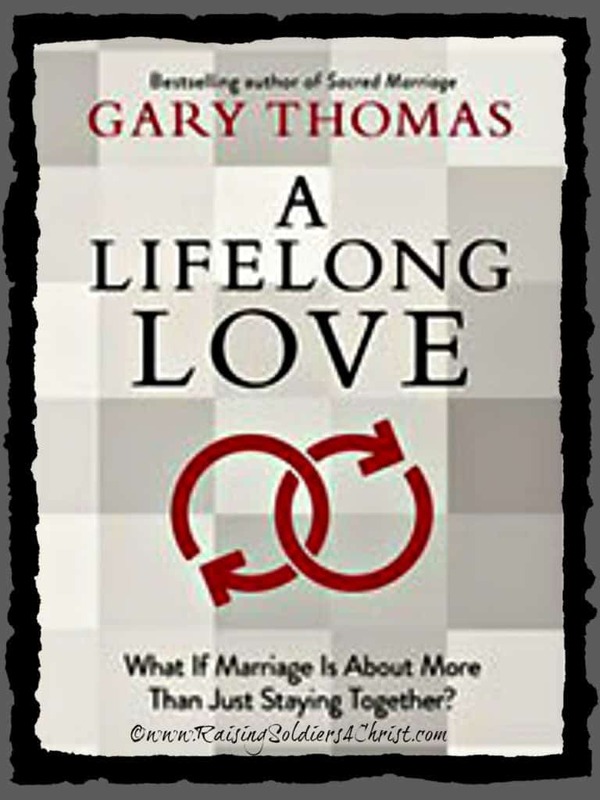 If you read my review to Sacred Marriage, or if you have read Sacred Marriage, you’ll be pleased to know A Lifelong Love is the “sequel.” Gary has such deep insights into the scripture and his books are packed FULL of scripture references that tie right in with the lessons he is teaching. As much as I love reading books to help keep us on track – okay, keep ME on track – in our marriage, I know there is absolutely no word that will override the inerrant word of God! The Bible is the ultimate guide on marriage. Gary does such a great job sticking to Biblical truths and presenting them in a way that honestly can really transform your marriage! This is a great book to read together as a couple. In fact, I plan to read it again when Clay comes back from overseas. There are questions at the end of each chapter that give you a chance to dive in and have more in depth conversations. I personally believe that any marriage can gain wonderful insight from this book. Whether your marriage is struggling or you’re totally immersed in a healthy, happy marriage, you will gain so much! I highly recommend it! 5/5 stars!